Banking & International Financial Services. We believe that through asking better questions from the outset we can enable organisations to hire better people for their business while placing individuals in suitable jobs that significantly enhance their career. Our thorough approach enables each to achieve their goals. We take great interest in Ireland’s ability to attract and retain both the best jobs and the top people in each of our sectors. The founders at Engage People really value clarity with a great deal of focus on getting the fundamentals right. Our deep expertise across our niche sectors enables us to know where the talent is for each area. Our way of working stems from our core values which are at the heart of everything we do, defining and inspiring us to be the best we can be, every day. Our own people are our biggest asset – Meet our team who help you to make it happen. Our single biggest focus is that we ask each of our clients and candidates the right questions from the outset leading to a higher level of clarity and engagement. We strive to be energetic and ambitious on behalf of our candidates who are keen on an exciting new challenge and for our clients who want to meet the best people. We respect and value that each individual we deal with has their own traits, purpose and dreams and we place great emphasis on understanding how we can support their goals. Our business foundation is based on both personal and organisational integrity. We believe in hiring and inspiring authentic characters who are ambitious about their career and want to achieve more. Achieving continuous success in a sector that has many ‘moving parts’ requires focus and tenacity to achieve the strongest outcomes. Our approach involves a deeper level of interaction during the hiring process to ensure that each parties’ expectations are aligned. Our focussed approach has been refined over many years of experience. Since graduating in 2001 with a BBS (Hons) in HRM & CIPD, Paul McClatchie enjoys working with talented career oriented people in the financial sector. Over the last 15 years, Paul has built a proud track record in Dublin and Sydney in Financial Appointments and leading successful Recruiting teams in the Financial arena. Paul’s greatest passions are inspiring his colleagues to achieve their career & personal goals and working with organisations and candidates to identify and pursue their objectives, enabling them to achieve more. 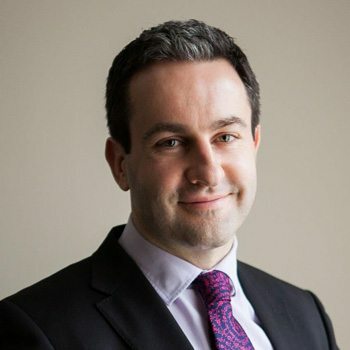 Paul has recently been involved as a judge with both the Accountancy Ireland and Grad Ireland awards ceremonies and is the incoming President of St. Andrew’s College, Dublin Alumni 2017. Away from the office, Paul is an elected member of the Old Wesley RFC General committee where he coaches in the successful Junior Rugby set up. Paul is regularly involved with charitable initiatives involving Focus Ireland, Fighting Blindness and the Ireland Funds and enjoys completing a variety of annual charitable cycling events around Ireland and further afield.